As a cat lover, I thought this was a great idea. This is a great way to clear clutter in a small space. 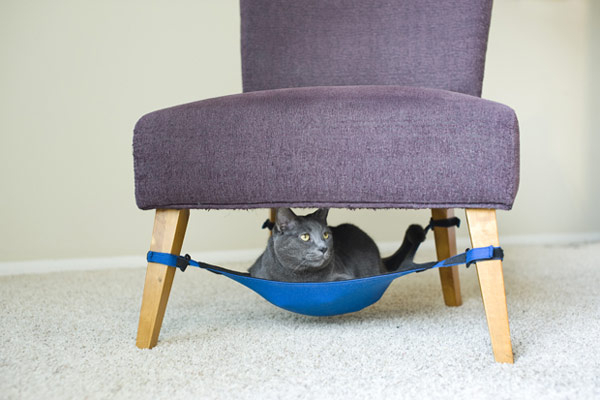 Instead of a cat bed or all the other cat furniture you can find, this utilizes the wasted space underneath an exisiting chair! I want one for my future kitty!